Faiz Muhammad Faizok Baloch Pakistani Classical Music Singer. 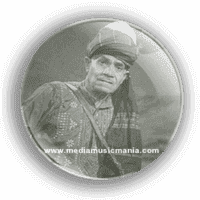 He was born in 1901 in Qasr-e-Qand, Iran a region in Nikshahr Township Baluchistan, He was most popular Pakistani and Balochi Folk Songs, Pakistani Cultural Music Artist. Faiz Muhammad Baloch was great Artist of Pakistan he sung in Balochi, Sindhi and Urdu languages. Faiz Muhammad Faiz Muhammad Baloch lived his early life in Karachi but later he traveled to Quetta, Balochistan. He started his carrier on Radio and Pakistan Television. He sung lot of popular Balochi Songs, Folk Music and Classical Music. He was most Popular Balochi Folk Musician and he is well known for his unique style of body language with great songs. Faiz Muhammad Baloch was great Artist of Pakistani Folk Music, lot of peoples admired his contribution to Balochi Music. His popular Music are "Laila O Laila", "Biya Tara Baran Saila", "Muskat-e- Mehruk", "Ae Naz Hunsey Wala" and other lot of great songs. Faiz he created great name in Balochi Folk Music. He taught his Musician Training from Master Mallarami from Allahdad and also Master Khayr Mohamamd taught him Sindhi Music. This legendary Artist was breath his last in 1982 at Quetta, Balochistan in the age of 80 years. I have selected below most popular Balochi Music of Faiz Muhammad Faizok Baloch.